When a person owns a land, estate or any kind of an asset, he is said to be holding the title for it. Thus, when he decides to sell the asset or transfer it to someone else, he needs to transfer the ownership or title. A title transfer form is used in such a scenario. The form is used to record the details of the two parties as well as the asset whose title is being transferred. You may also see Transfer Forms. 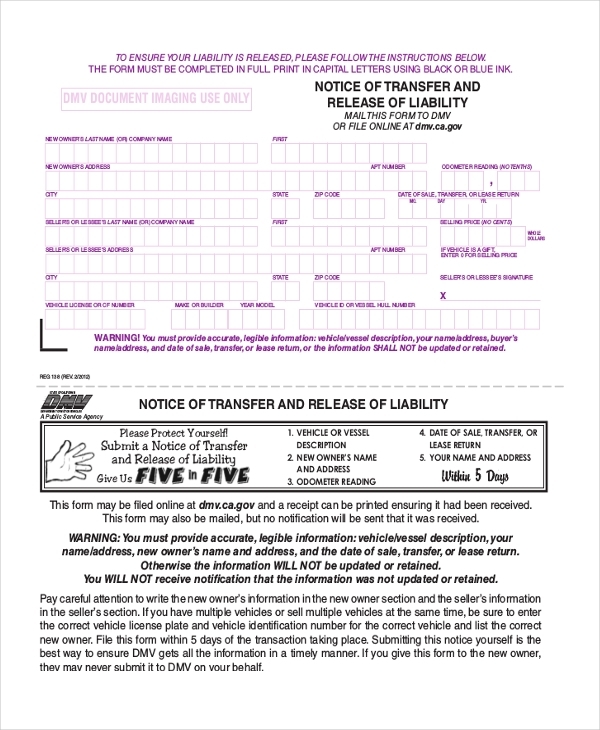 Whenever a person intends to sell a vehicle or transfers its ownership to one of his family members, he is required to fill in this form with all the relevant details and share it with the government authority responsible for this. 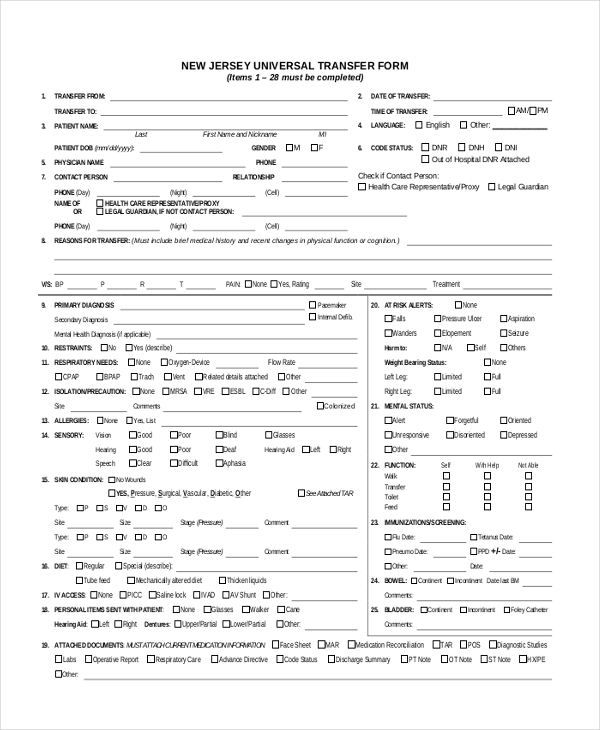 This form is used by hospitals as a necessary protocol during organ transfer from one person to another. The authority concerned has to fill in the form with the details of the donor and the person to whom the organ is being transferred along with the details of the statement. When a person intends to transfer the ownership of an asset to another person, he can fill in this property transfer form and submit it to the authority concerned requesting them to do the needful. As the name indicates, this form comes in handy when a person wishes to transfer the ownership of his car to a buyer or a family member. 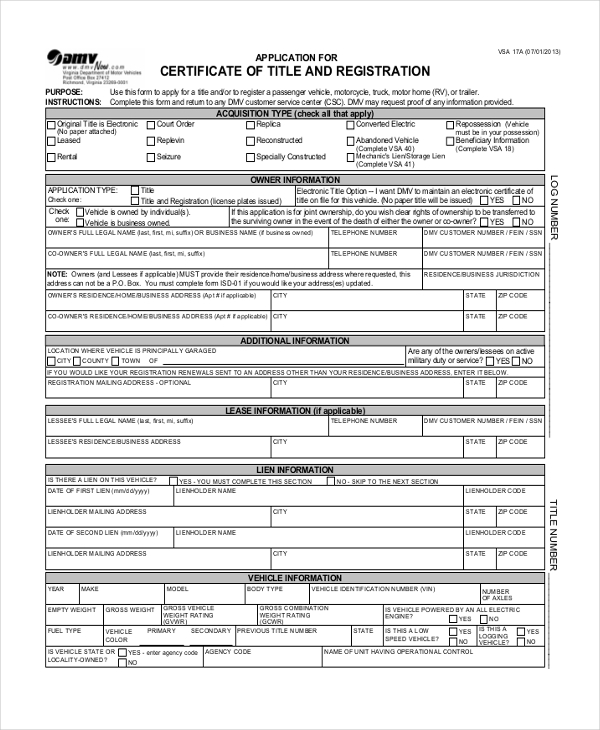 He can fill in this form with all the necessary details and then submit it to the authority concerned. A person who intends to transfer the ownership of his house to another person is required to fill in this form with his details as well as that of the new owner along with the details of the property. 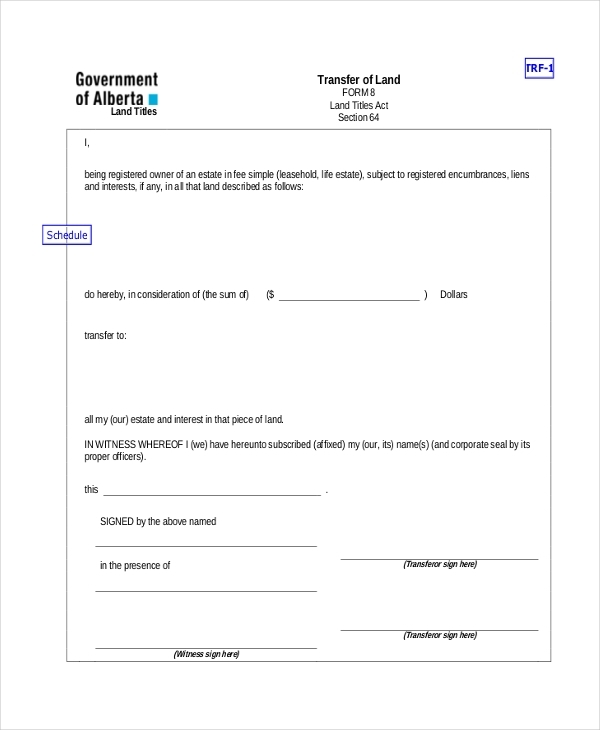 As the name indicates, this form can be used when a person wants to transfer the ownership of a land to a buyer or a family member. The form should be filled and submitted to the authority concerned. 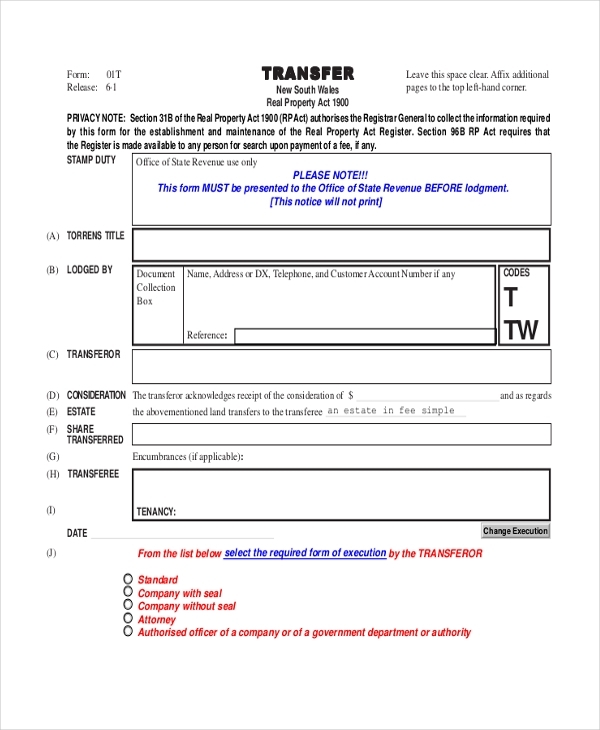 A person who wishes to transfer a property owned by him to another person uses this form to request the government authority to transfer the ownership to the other person. When a property ownership is transferred from one person to another, the authority issues this certificate as the proof of the transfer. The certificate comprises of the details of the new owner as well as that of the property. What are The Benefits of Using Title Transfer Form? How to Format a Title Transfer Form? At the top enter the name of the form or the agency using the form. This should be followed by two segments where the personal details of the two parties should be filled in. Next, the details of the property should be entered. If there are any clauses that should guard the transaction, these should be included in bullet points. 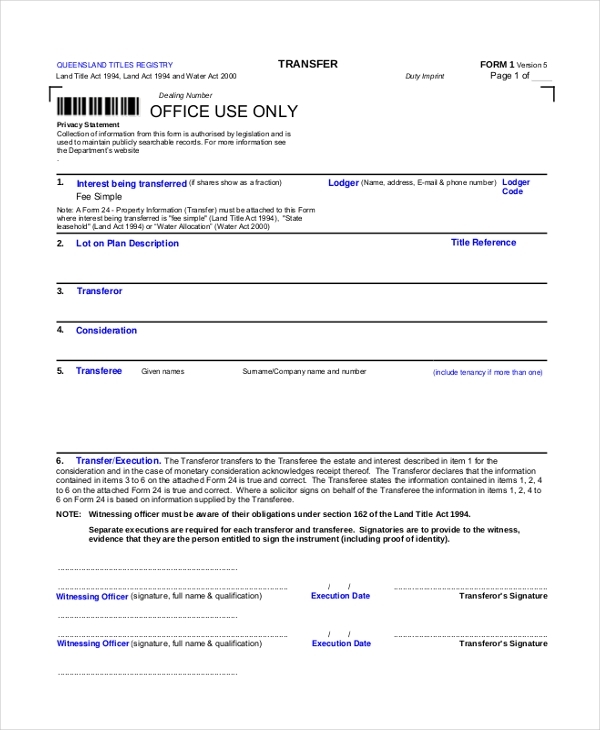 You may also see Stock Transfer Forms. 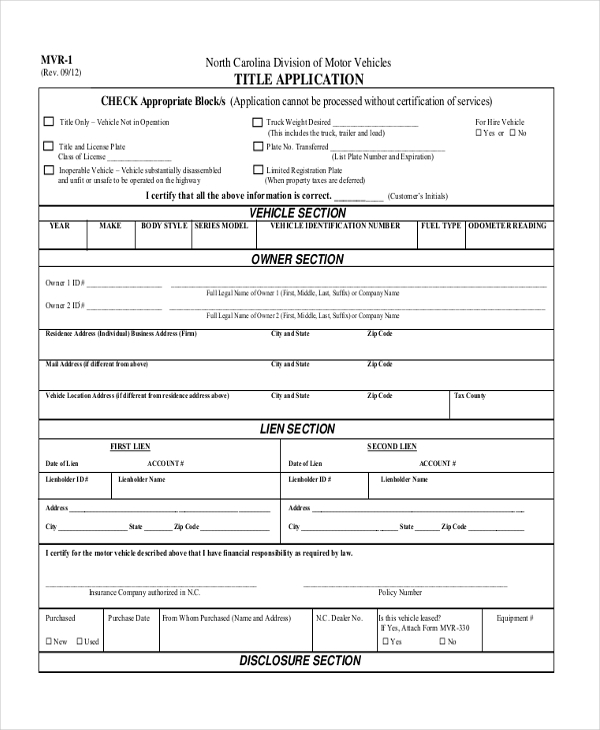 If you are thinking of designing a title transfer form without professional help, check out our vast collection of forms. You are sure to find one that will be perfect for you. Download this and use it just the way it is or customize it as per your needs. 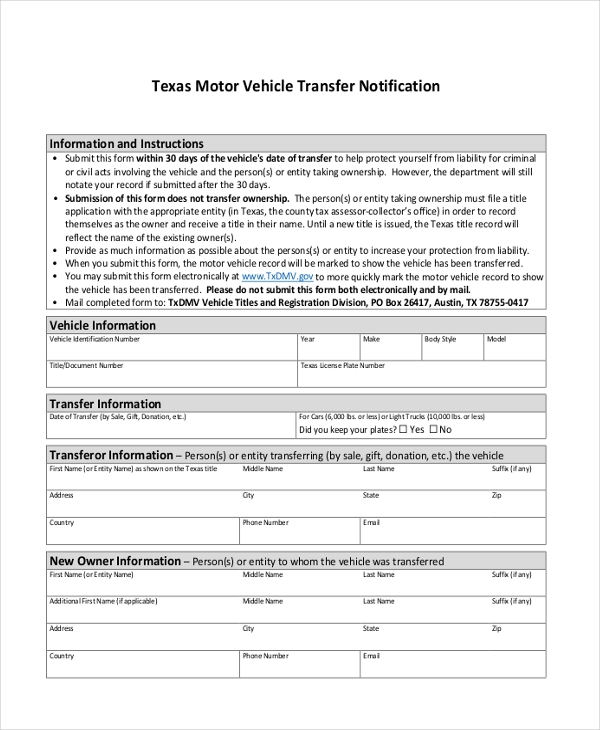 You can also see Vehicle Transfer Forms.